Do your dentures slip and float at the worst times? As an implant dentist, I know many Dallas-area patients are frustrated with their traditional dentures. Adhesives and natural suction often fail to create the secure fit and hold you need, and since these types of dentures cover the roof of your mouth, they can impair your ability to smell and taste the foods you love. To address this problem, I provide implant-retained dentures at Fitzgerald Dental Center. Dental implants have provided many denture wearers a beautiful, long-lasting, and reliable alternative to traditional dentures. Non-removable fixed dentures, which most closely restore natural oral function, require a solid foundation of five or more implant posts per jaw. After I affix the dentures to the posts you’ll wear them all the time, treating them like natural teeth. Since you will brush and floss as usual, fixed dentures free you from the extra upkeep of removable dentures and are the strongest option. 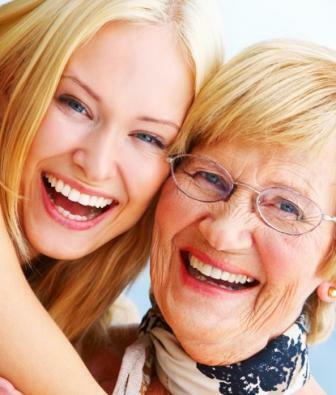 Removable overdentures are a solid alternative to traditional dentures. Attached directly to conventional implants, mini implants, or an implant-supported bar, removable dentures snap firmly in place for a reliable, snug fit. This type of denture needs the same care as a traditional denture, so you will take it out for cleaning periodically throughout the day. With implant-supported dentures, you can be confident your teeth won’t let you down. Imagine the ability to eat what you like, smile proudly, and leave the adhesive behind. Sound great? Find out whether implants are the solution for you by calling the Fitzgerald Dental Center and scheduling a free consultation with me, Dr. Lee Fitzgerald. I’d love to improve your quality of life with implant-retained dentures.